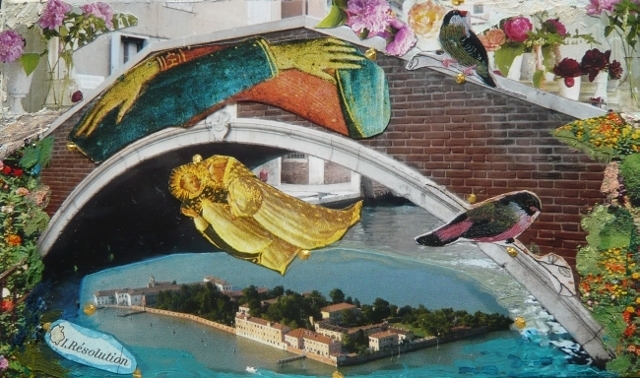 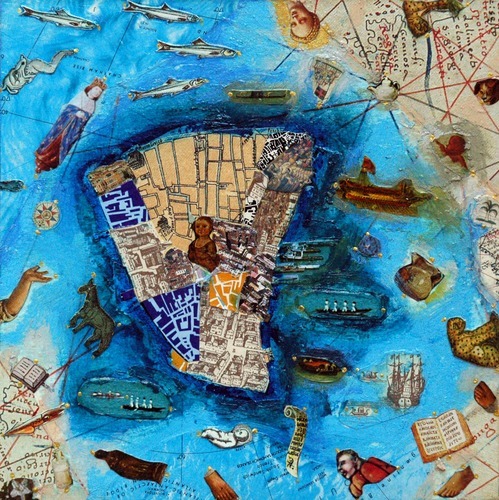 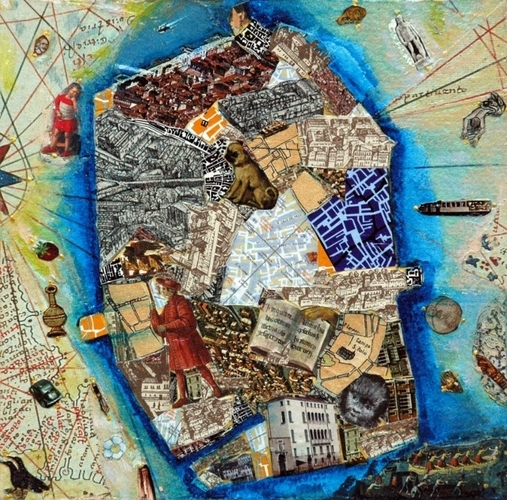 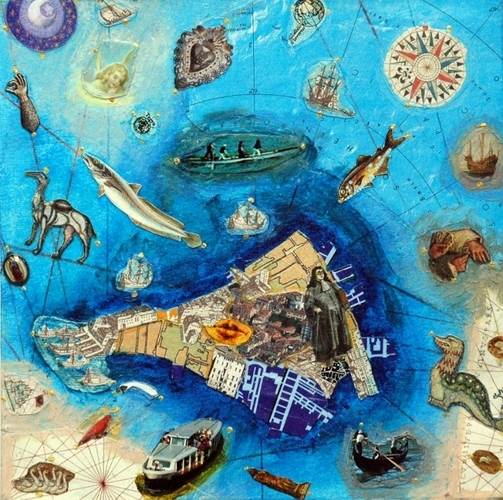 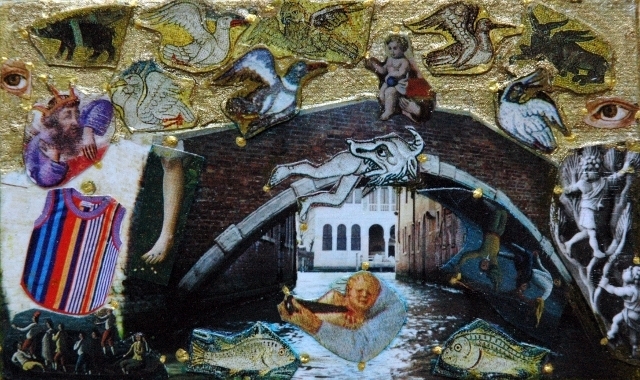 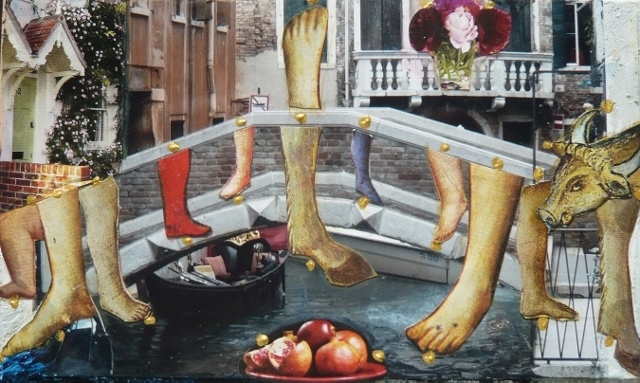 Deirdre Kelly's personal maps of Venice are accompanied by texts from 'Venice is a fish' ('Venezia e' un pesce' Giangiacomo Feltrinelli Editore, Milano 2008) by kind permission of Tiziano Scarpa. 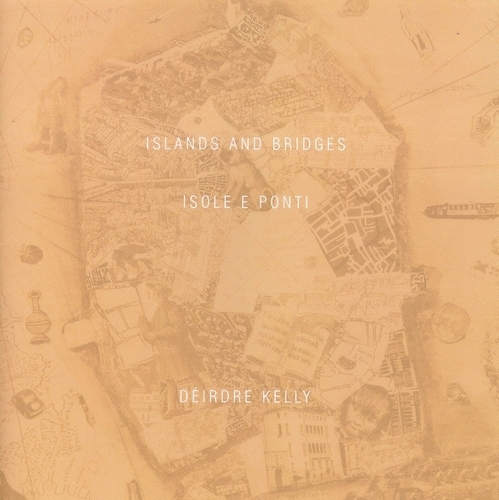 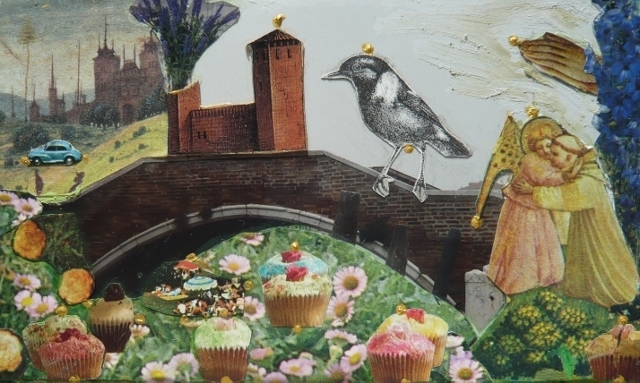 Each book includes a lace souvenir showing the most famous of Venetian bridges' Rialto' and one piece of each of the 140 Islands. 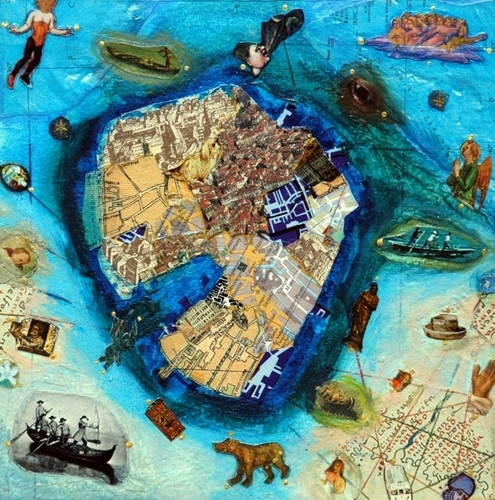 The sum of which make up a complete map of Venice.